2. Bird repellent is used on the Eiffel Tower. Disney Imagineers are experts at a technique called “forced perspective,” which makes things look larger or taller or further away than they actually are. They used this technique when they built Cinderella Castle at Magic Kingdom, and they also used it when they built the main building in the United States pavilion at EPCOT. 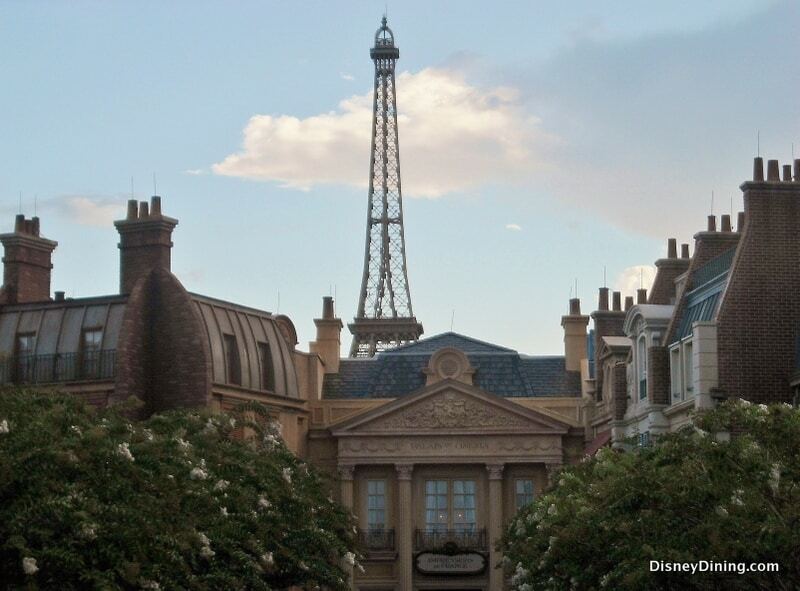 They further used it on the replica of the Eiffel Tower in the France pavilion. The replica stands only 103 feet tall—just over 10 stories high. But it looks much taller than that, thanks to the magic of optical illusion. However, if birds congregated on the replica tower, the illusion would be ruined. To ensure this doesn’t happen, bird repellent is used on the replica Eiffel Tower so that birds never come to rest on the structure and give away all the Imagineers’ secrets.